We fly to Riga Latvia, and bus from there to Siauliai, Lithuania. Being a reasonable person you may ask WHERE? WHY? WHO? WHERE? first: Lithuania is on the Baltic Sea, about the same line of latitude as Moscow and Copenhagen. One often hears it mentioned in the same sentence as neighbours Latvia and Estonia. See the map at the top of the page. I should tell you that those flying from North and South America will in fact fly to Riga, Latvia. The event itself takes place in Siauliai, Lithuania. 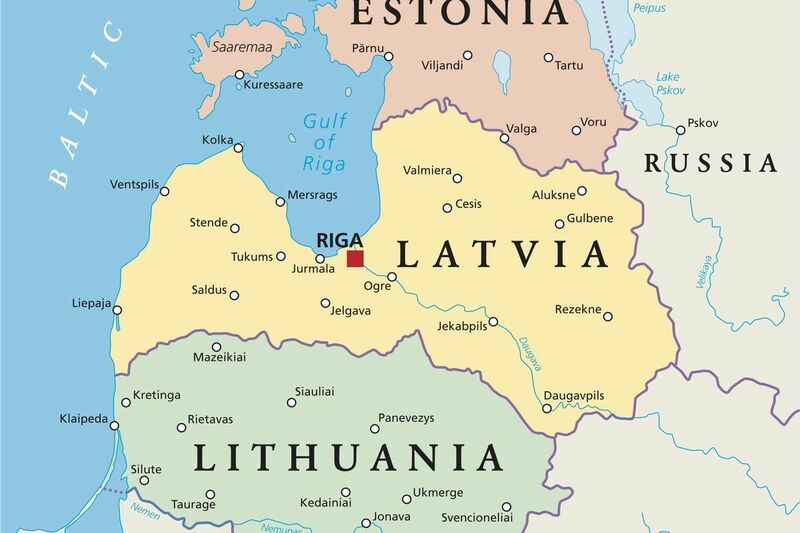 You can see it on the map > south and a little west of Riga. WHY? We, our group, is going there to introduce ShuffleBoard to the world!! That is not really much of an exaggeration! In fact we have been invited to Siauliai Lithuania to demonstrate ShuffleBoard; AND, they are so vitally interested that the only cost we will experience is our Air Fare. TAFISA (The Association For International Sport for All) will be our host. I invite you to go to their website by clicking: http://www.tafisa.de/index.php?option=com_content&view=article&id=70&Itemid=74 When the Site opens, click on any of the words which appear in the Blue Header across the top of the page. You can learn as much or as little as you wish. If I could suggest, why not save the URL so that you can access it while the event is in progress > July 5th to July to July 11th, 2012!! WHO? From Brazil: Michael Zellner, ISA President; Bernar Borges (BRAZIL-YOUTH, 21); Camile Caldas (BRAZIL-YOUTH, 19); Gabriel Zellner (BRAZIL-YOUTH, 15). From Germany: Dieter Hussmann and Marius Runge, YOUTH, 20. From the USA: Jim Bailey and Gus Bondi. From Canada: Stan and Lois McCormack. Each of us is excited to be going!! We’re excited to be able to demonstrate ShuffleBoard!! I will try and keep you posted on some of the highlights! This entry was posted in TAFISA Lithuania. Bookmark the permalink.